Each year the UK typically welcomes 31 million visitors from across the world. Last year alone, these visitors went on to spend a total of £18 billion. Riding on the success of the London 2012 Olympic and Paralympic Games, VisitBritain has launched a consultation on inbound tourism with the aim of encouraging 40 million visitors by 2020 – a 3% increment year on year. The strategy for growth includes working with the travel trade to ensure that Britain is appropriately packaged and sold to potential visitors. It also wants to ensure that visitors will find it easy to travel here by addressing the current aviation capacity and visas. Reaching 40 million visitors would deliver an extra £8.7 billion in foreign exchange earnings at today’s prices, claims VisitBritain, adding that it would also support over 200,000 additional jobs. Christopher Rodrigues, chairman of VisitBritain, said: “This summer has shown what the country can do when we are united in a common cause. The test now is whether we can maintain this to create wealth and jobs through a major tourism drive. 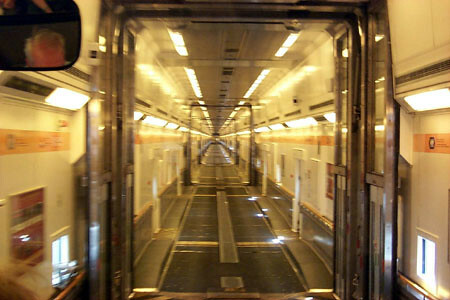 Visitors to the London 2012 from across the Channel will be happy to hear that Eurotunnel has increased both the capacity and speed of its passenger trains to cope with the higher demand of visitors during the Games. An extra half shuttle for passenger vehicle transport has been added, plus the speed of passenger trains has been increased from 140kph to 160kph which knocks an extra five minutes off the journey time. Additional service booths have also been put into service to cope with the extra capacity and keep the flow of traffic consistent. In addition, the timetable for the Olympics coach transport provider, Eurolines, has been intensified to allow for more coaches to cross early in the morning so visitors can arrive in good time to watch morning events. This is not just good news for passengers, but also for Eurotunnel, which has just revealed a 14% rise in revenues for the six months to June compared to the same period last year. Eurostar passenger numbers have also seen a 3% increase.